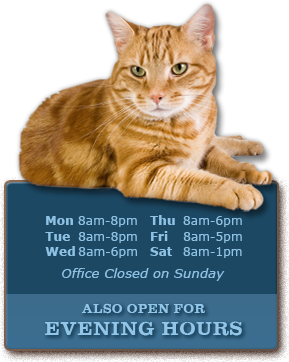 The first thing you'll notice when you walk into our Paddock Lake veterinary office is the incredibly friendly and inviting atmosphere. Members of our staff have been hand-picked to provide you & your pet the best possible experience during your visit. Learn more about our team below. One of the most memorable events in Dr. Harris's career was when he treated a greyhound with a radius/ulna fracture. After receiving proper treatment, the greyhound returned to Grade A racing and beat his field of competitors by a length. "I love that I am able to care for animals and improve their quality of life," said Dr. Harris. "Never in 32 years has there been any day that was the same as the previous day." 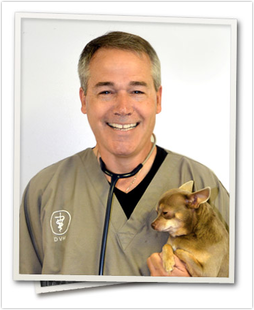 This unique aspect of veterinary medicine motivates Dr. Harris to provide the best care for all our clients' pets. 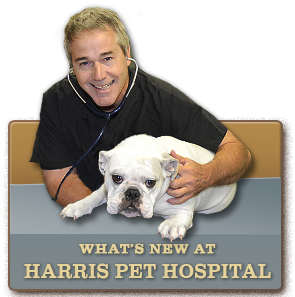 Dr. Harris grew up in the Chicago/Naperville area of Illinois. "I grew up in an urban environment. Before we had a dog of our own, I used to visit the neighbors and ask if their dog could come out and play with me," he said. Eventually, Dr. Harris pursued his passion for animals through his studies. He earned a bachelor's degree in biochemistry from the University of Illinois at Urbana-Champaign in 1976 and later earned his Doctorate of Veterinary Medicine from the University of Illinois in 1980. His areas of professional interest include bulldog medicine, greyhound sports medicine, reproductive medicine, and surgery. He is a member of the American Veterinary Medical Association, Wisconsin Veterinary Medical Association, and the American Animal Hospital Association. Being involved with his community in both a participatory and an advisory capacity is important to Dr. Harris. He is a member of the Abbott Laboratory Veterinary Advisory Board, the Kenosha Visiting Nurses Board of Directors, the Science Advisory Board for Carthage College, and many others. He loves all kinds of dog and cat breeds and has owned numerous dogs including Labrador retrievers, chihuahuas, greyhounds, cockapoos, and poodles. Giving back to the community has been an important part of Dr. Harris's personal and professional outlook. Over the past 30 years, he has worked with many rescue organizations to help place stray animals in good homes, participated in school shadow programs, and hosted community days for local schools. He has also sponsored 4H projects, athletic league teams, and numerous community programs and benefits. Dr. Harris lives with his wife, Sarah, his son, and two stepsons. They have four pets: a chihuahua, a cockapoo, a Labrador retriever, and a cat. Dr. 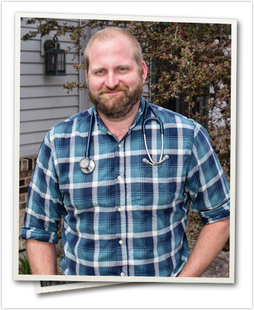 Keen grew up in Riverside, Illinois and followed his older brother into the field of veterinary medicine. He earned his bachelor’s degree in biology from the University of Illinois at Urbana-Champaign in 1991 and earned his Doctorate of Veterinary Medicine fwirom the University of Illinois in 1995. After graduating from veterinary school Dr. Keen worked two years towards a master’s degree in veterinary parasitology while teaching and doing research at the University of Illinois. Dr. 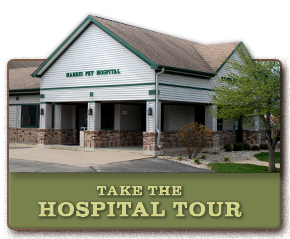 Keen has been a small animal practitioner in southeastern Wisconsin for 20 years and has extensive experience in emergency veterinary medicine. His professional interests include veterinary parasitology, small animal reproductive medicine, dermatology and internal medicine. Dr. Keen is a member the Wisconsin Veterinary Medical Association and the American Veterinary Medical Association. “Of all the aspects of my job, I most enjoy the client interaction and developing relationships.” Dr. Keen said. “I am also grateful for the intellectual challenges that accompany my career. No two days are ever the same.” Dr. Keen shares time away from the office with his wife of 20 years, Dr. Julie Keen (a veterinarian at Harris Pet Hospital), their 6 children and various scaled, furry and hairy companions. He is an active member of St. John’s Catholic Church and enjoys many outdoor activities, including wilderness camping, fishing, distance running, skiing and gardening. Dr. Julie Keen earned her bachelor's degree in biology from the University of Wisconsin-Stevens Point in 1994 and earned her Doctorate of Veterinary Medicine from the University of Illinois in 1998. Although she loves all animals, she has a special interest in caring for exotic pets. She had pets of all kinds growing up, and still has quite the "zoo" in her home. She is a member of the Wisconsin House Rabbit Society, the Association of Exotic Mammal Veterinarians, and the Association of Reptile and Amphibian Veterinarians. 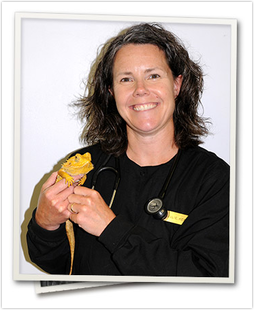 In addition to her interest in exotic pet medicine, Dr. Julie is also interested in overall pet wellness. She enjoys using nutrition, supplements, oils, and other natural solutions to treat pets whenever possible. She is also a member of the American Holistic Veterinary Medical Association. Dr. Julie spends her free time with her husband, Dr. Doug Keen and their six children. She enjoys hiking (she recently completed a Philmont trek out West), mountain biking, and shopping. They share their home with their kids plus several frogs, two axolotls, one hamster, a cockatiel, a tarantula named Chief, and two labradoodles - Shandy(named for Dr. Doug's favorite beer) and Moose. Dr. Wikert’s childhood experience administering treatments to his diabetic cat spurred his desire to help animals and pursue a career in veterinary medicine. “Every day is different,” he says “and it is both a challenging and rewarding profession” Originally from Cedar Falls, Iowa, Dr. Wikert attended the University of Northern Iowa where he earned a bachelor’s degree in biology in 1997. While there, he was the president of the Kappa Sigma fraternity and an honor student. He earned his Doctorate of Veterinary Medicine with distinction from Iowa State University in 2001. 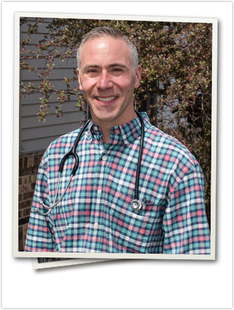 Dr. Wikert is a member of the Wisconsin Veterinary Medical Association and the American Veterinary Medical Association; his professional interests include orthopedic medicine, soft tissue surgery, and reproductive medicine. Dr. Wikert also stays busy spending time with his wife Amber (who is a Photographer) and their six children. When time allows he also enjoys fishing, football, baseball, and playing softball. Growing up in Wilmot, Wisconsin, Dr. Hatcher remembers wanting to be a veterinarian since she was six years old. “I grew up with pets and have always known that taking care of animals is what I wanted to do with my life”, she said. She began fulfilling this dream when she participated in 4-H projects in high school and then later earning her bachelor’s degree in animal science from the University of Wisconsin-Madison. During her years as an undergraduate and part of vet school, Dr. Hatcher worked as a veterinary assistant at Harris Pet Hospital. Shortly after earning her Doctorate of Veterinary Medicine from the University of Wisconsin School of Veterinary Medicine in 2002, Dr. Hatcher joined the staff full-time as a veterinarian. In addition to taking care of pets, Dr. Hatcher particularly enjoys spending time educating pet owners about proper preventative pet care and health maintenance. Her professional interests include feline medicine, internal medicine, general surgery, dentistry, and physical rehabilitation. She is a member of the American Veterinary Medicine Association, Wisconsin Veterinary Medicine Association, American Association of Feline Practitioners, and the Lesbian and Gay Veterinary Medical Association. 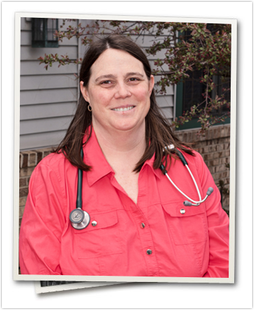 Dr. Hatcher is a long-time Kenosha County resident, currently living in Salem with her wife, Anne, and their clowder of cats and 4 dogs. Outside of work, Dr. Hatcher keeps busy with church, serving on the council for Spirit Alive! Church in Kenosha, and with dog sports of all sorts. She is a member of the Wisconsin-Illinois Agility Group (WAG), a local club that offers classes of all levels of agility and sponsors trials in multiple agility venues, as well as classes in several non-agility sports. Additionally, Dr. Hatcher teaches several rally obedience classes at WAG. Dr. Hatcher and her wife also actively train and compete with their 4 Belgian Tervuren in obedience, rally obedience, herding, agility, lure coursing, conformation, and tracking. She earned her first Champion Tracker title in 2016 with her Tervuren Montee Ball, and has competed in the AKC Rally National Championships since their inception. Aside from dog sports, Dr. Hatcher also enjoys camping, hiking, travel, and cooking. Dr. Alison Keen is a Milwaukee native, who fostered her love of animals at a young age. She remembers fondly visiting her grandfather's pig and cattle farm on weekends as a child, and grew up with a number of pets ranging from parakeets to ferrets. She took a somewhat circuitous route to becoming a veterinarian, but could not imagine a more fulfilling career for herself. After graduating high school, she spent a year working as an apprentice shipwright helping to construct Wisconsin's flagship, the three-masted wooden schooner, Denis Sullivan. Her love of sailing and maritime history led her to attend Bates College in Maine, where she graduated in 2004 as a German Literature major with a European History minor. Following graduation from Bates, Dr. Alison began working as a veterinary assistant. While working full-time, she also dedicated herself to part-time studies at the University of Maine-Portland and successfully completed the required coursework to apply to veterinary school. Dr. Alison attended Tufts University Cummings School of Veterinary Medicine, graduating in 2012. 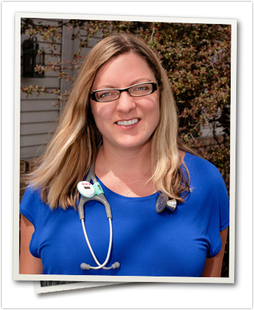 She began her veterinary career working in Door County, Wisconsin before joining the Harris Pet Hospital team in April 2014. Dr. Alison lives with her Labrador Retriever mix, Chance. Chance has been her constant companion since she adopted him from a shelter in Maine. Dr. Alison swears by the motto "My rescue dog rescued me." after Chance alerted her to a fire in her house, which allowed them both to escape unharmed. It wasn't until Dr. Hawkinson observed her first surgery that she realized veterinary medicine was her calling. "I was bored silly at a desk job and took the day off to watch my kitten get spayed. Just minutes into the procedure, I knew it was the place for me." Dr. Hawkinson earned a bachelor's of science, majoring in communications, from the University of Wisconsin-Madison in 2001. She completed her Doctorate of Veterinary Medicine from the University of Wisconsin in 2007. Dr. Hawkinson has a professional interest in surgery and dentistry. "So much of our pet's health resides inside their mouth. Keeping the teeth and gums healthy is an important component for a long healthy life. But most of all," Dr. Hawkinson adds, "I thrive on the relationships I build with clients. I see pets as an extension of family and I strive to treat everyone's family as I would my own." Her most memorable surgery of the past year was a Cesarean Section to deliver 16 puppies. Dr. Hawkinson enjoys outdoor summer and winter sports and stays busy with her husband, two children, two dogs and four cats. Dr. Hawkinson is loved by the animals, clients and co-workers. Her sense of humor, curiosity and bedside manner make her an exceptional veterinarian. She inspires those around her to reach toward their goals and has a natural tendency to see the best in her environment. What she brings to the practice is professionalism, knowledge and the ability to relate to the pets and people alike. 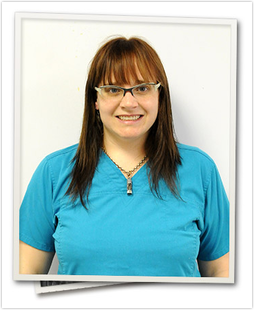 Dr. Caroline DiCarlo is the newest member of the Harris Pet Hospital team. She is a native of Largo, Florida, but moved to the Chicago suburbs back in 1991. She spent her high school years in Hinsdale, IL and her early college years at the University of Illinois in Champaign-Urbana. She went on to study in New York City, earning a bachelor's of science degree with honors in forensic science from John Jay College of Criminal Justice. She then completed her Master's of Science in Veterinary Forensic Toxicology. She is a published author in Forensic Magazine. Dr. DiCarlo knew she had a calling in veterinary medicine, so she returned to Champaign-Urbana to attend the University of Illinois College of Veterinary Medicine in 2008. She graduated from vet school in 2012 with an interest in small animal medicine. She began practicing in Richmond, IL shortly after graduation and has now made a move north of the border to Harris Pet Hospital. Dr. DiCarlo loves practicing medicine and thoroughly enjoys the relationships she has built with her patients and their owners. She believes strongly in good communication with pet owners and stresses the importance of owner involvement in decision making for their pets. She has a special interest in anesthesiology, cytology, dermatology, and internal medicine. Dr. DiCarlo is a resident of Richmond, IL where she enjoys life with her husband Rick Webber and their brilliant and beautiful daughters Tegan and Quinn. Their family also includes four lab mixes named Finn, Phoebe, Scout, and Hugo. They recently lost their fifth dog Riley, a 17 year old toy poodle mix, to kidney disease. Riley inspired Dr. DiCarlo to become a veterinarian, and she will be loved and cherished forever. In her free time Dr. DiCarlo enjoys cooking, redecorating, organizing anything and everything, traveling, and spending time with family at the lake.